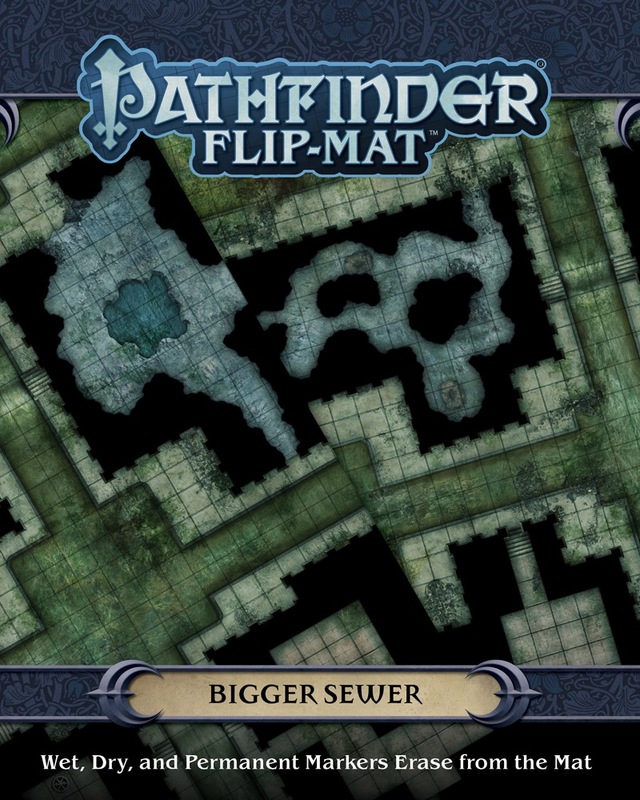 Whether your players are escaping foes using a city's subterranean passages or searching for the hideout of thieves or cultists, Pathfinder Flip-Mat: Bigger Sewer has you covered. With an area that's 45% larger than normal Pathfinder Flip-Mats at their disposal, Game Masters can now dream even bigger! 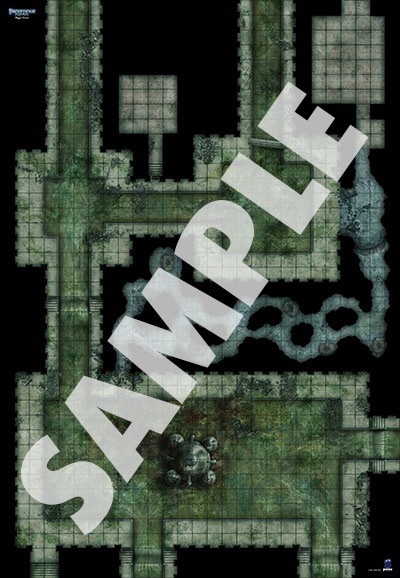 This massive gaming accessory provides two sides of massive sewers, for when the dungeon is just not disgusting enough. Can the heroes evade danger and avoid being covered with offal? That's up to you! Don't waste your time drawing patches of sludge, pipes, and rat nests. 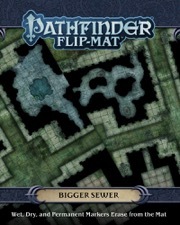 With Pathfinder Flip-Mat: Bigger Sewer, you'll be ready the next time your players have to brave the sewers and the disgusting creatures that dwell there! There's a spelling error in the fifth sentence: should be "coastal" instead of "costal". Moar sewerszszs! The placeholder art is from the Ambush Sites Map Pack. I hope this means the Bigger Sewer is a bit more compatible with those cards. Fixed section and corrected typo. Thanks! Updated with final product description, cover image, and samples! It looks like the two sides of the mat can connect to each other (if you put the second sample on it's head), as the first sludge stream is 4 squares from the left edge away and the second one is 10 squares away from the edge of the left one. 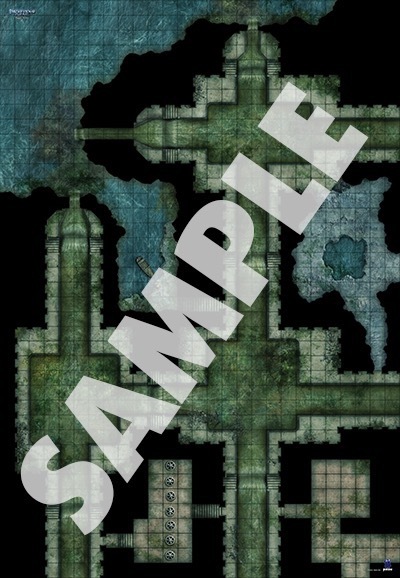 Sadly this doesn't connect to "Map pack: Sewer System", which's sludge streams are only one square broad. I like that we have a connection to a body of water. That's a connector that the sewer maps have been missing.